Webinars may seldom be charming. However, they are the most widely recognized application of business to virtual space. The ball got rolling with globalization driving internet and social media towards business virtualization. Bring Out the Blog: Pre webinar blog posts often give people a fine idea about what the webinar would entail. They work like an energizer and motivator. Keep the blog crisp and concise. Don’t give out the details here. The blog will serve as a guide or a manual to evoke participation in the webinar. Focus on Industry Updates: A webinar without current industry updates is like stale bread. You can’t make anything out of it. Facts and figures are important; and so are trends. Even if there is nothing interesting to talk about, the way you present the numbers can make the whole difference. Invite people to comment on the trends and talk about what they think about progress. Ask them if they see progress happening, or otherwise. Understand Audience Behaviour: People are likely to pay attention to other social media platforms, happily chatting their time away if they encounter even a bit of boredom during a webinar. Analyzing and understanding audience behaviour and reaction is a way of predicting feedback. Mock webinars can help you get more accurate results. As the adage goes – first impressions are the last impressions – so is the case with webinars too. A welcome slide for the webinar should hook the audience. Your half the job is done there and then, is it? No! You need to proceed in an equally engaging manner to make your webinar a hit. Staple members of the social marketing stronghold are undoubtedly Facebook and Twitter. However, since its inception in 2010, online social bulletin Pinterest has outdone Google and even Twitter in terms of referral traffic and client conversion rates. If you’re contemplating the business possibilities of Pinterest, here are a few points that will get you pinning for more. It allows sharing photos on your own virtual bulletin board, managing them, and dotting them with either pins or images. It entails boundless possibility with pinning and repinning your distinct images as well as those of other related ones. Being highly socially addictive, users engage in fun, and gain greater recall by simply posting interests while the visual presence ratifies the business or brand. With about 40 million users currently, the amazingly substantial traffic provides a fantastic platform for business communication with customers, existing and potential. 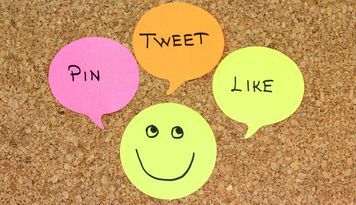 In addition to being a free platform, it is connectable to both Twitter and Facebook, meaning that when a user pins or repins your images, it reaches those websites as well. Businesses that cater to young women have prime position with over 80% of the user base consisting of females, between the ages 18 to 40. If senior citizens are the required demographic, the less tech-savvy would not be conducive to promoting products meant for them. Being a visual website, the pins depend highly on aesthetic and appeal to the user base. Clothes companies and style-based firms of design and sports would do far better than others who would still be able to increase their own website traffic and brand awareness with the multiple business possibilities of pinterest. Marking related content is also crucial, as it displays a wholesome reputation of covering the areas in your industry, to encourage repining and sharing. Additionally, attaching personal preferences helps to draw a larger crowd and extends the scope of the brand and its composition. This visually driven social media website is constantly growing and holds the third position for traffic created. This is only one of the business possibilities on Pinterest that are freely available to utilize in a proper manner. Including guest contributors, organizing contests, and creating catalogs helps to add depth to your business presence, which through pinning, will escalate rapidly. Keep in mind the fundamental maxim that work is where you go to do specifically assigned tasks, using your trusted expertise for remunerative value. Your personal life could impact this stability if mismanaged. Facebook shares a majority of a person’s persona and reputation is created or portrayed, through online content. Ranging from simplicities such as posting music you enjoy, liking a status that used crude humour, or adding a friend, each action should remind you that you are accountable. Here are some instances of its influence. Character Testament: You may be a rising talent or a messy wildfire, depicting your social status in disarray could adversely impact your chances at employment. Depicting interests as different to those of the firm you work at, or being insulting, and abusive all carry severe negative consequences. Additionally, a visible social media butterfly will stand a better chance, as it offers a prologue to character as a possible co-worker. Keep your page clean with information you can always speak comfortably about. Professional Networking Opportunities: Although LinkedIn and related sites are primary sources of professional online contact, Facebook shouldn’t be abused for frivolous causes. The circles of people you are in contact with on a casual basis are the precedent for the opportunities they afford you. A ‘Pay-it-Forward’ format ceases to exist when there’s an understanding to assist whenever possible. Privacy and Misinterpretation: Ensure your profile invisibility in Google search. While 37% of employers saw profiles, 12% agreed that wanted to reveal candidate ineligibility. This is incorrect viewing of your information. Streamlining extensive friend lists into distinct, specified lists is also highly useful. Displaying an ability to handle your account is an elementary part to indicating your adeptness at managing your work as well. Communication: Socially, you may speak and communicate differently. Habitual poor grammar and unduly, lethargic communication should not be conveyed to employers. In a concise manner with language that suffices to surpass critique, write and talk conscientiously. Cultivating the activity augments the person’s own communicative abilities as well. Overcompensation: While your accomplishments may be notable and respected, Facebook should not become a shrine to your greatness, where ‘friends’ gather and witness your inspirational quotes or clever repertoire of comments. Do not downplay what you have done either. Maintain an earnest outlook with a focussed mentality to assuage any doubts that the market may have. Handling a Facebook account is simple enough if you concentrate on developing yourself. Moreover, the rewards of having personal and professional lives apart are in excess. You may not be able to keep them that way, but allowing them to co-exist is the way forth. Sauntering past the yawn inducing jargon of the technological era having encompassed our very lives, we reach the crux of social media and its being imperative to usage in every sphere. Social media is often littered with requests for Emergency Blood Donors, Homes for Adopted Pets, Work Opportunities, and numerous related criteria that cement the fact that it does indeed, provide considerable possibility for every need. This writer can testify in smaller, rarer circumstances, where a hugely popular musician offered an old acoustic guitar, free of cost, to anyone who had the will to learn how to play, as the musician himself delivered the instrument, with a pleasant smile and an endearingly self-condescending demeanour. Those who deign networking as a time-consuming, frivolous activity couldn’t be more misinformed. With the scope of the internet, it only grows more relevant and useful. We are inclined to believe that with such means, we can meet most ends. While around 36% of social media content posted by us is brand-related, 75% of businesses felt duly obliged to acknowledge this. Simultaneously, we must be aware of how we have the power to utilize the same for our own development. LinkedIn, currently the world’s largest professional network with 160,000,000 registered users, is the pinnacle of work opportunity webs. Listing proud past achievements, bearing arduously earned endorsements, and hosting histories of work-related accomplishments, it supports the professional aspirations while integrating an infinite network of talent, ability, skill, and experience. Skillzot uses a Pay-it-Forward format which brings together participants for the exchange of taught skills, while tutoring others in core competencies. This basic mentality compels our attention toward our self worth and target setting. Even in social media networks with a more casual recall, there are connections for causes of all kinds. Multiple startups compete with established firms for the pick of the lot, giving the potential employee the boon of choice. Particular professions and selective skill sets that often have an edge over the rest include Voice Over Artists, Actors or Models, Graphic Designers, Illustrators, Coders. To be fair, the playing field has never been as equal and the onus is on us to exploit this trove of opportunity. Building a solid profile with crisp depictions of our decorated works, simplistic interpretations of completed folios, along with substantiated recommendations by respected names, is the need of the hour. Keeping an ear to the ground, an eye out for the smoke signals, whichever form of communication you can visualize, we undertake to satiate these requirements with our own. Imbibing this indicative ideology of strengthened foundations and reinforced structures for applications, our outreach scales peaks of unnecessary pedantic, while maintaining decorum and procedure. Understanding and realizing our own ability is essential to achieve this, and with the time we frequently and poorly invest, we can do much more. It was the Super Bowl again in America, when champion teams clashed to win the National Football League trophy. It was also the time when brands locked horns to get the aspired slot during the half time entertainments and grab maximum eyeballs. To say the least, if it is the super bowl, a marketer knows well that he has the attention of a lot of people at a single place, at one time, in an exclusive commercial break. This is good enough to make the mark and seal the deal. So, what’s the mantra? Tease: If marketing gurus are to be believed, a lot of people await commercial breaks during the Super Bowl and a teaser can just do the magic that a brand seeks. For a brand, dropping off hints with the help of a teaser may help bring consumers back, looking for the whole story. The advertisement for Samsung, this year, was the perfect tease for the brand and the game without bargaining on the humor. Sponsor: This is the most run-of-the-mill idea, but provides for maximum visibility. However, this may also mean that there is a good investment required to book the slots, arena space, jerseys or anything. At the end of it all, it promises to pay big dividends. Engage: Super Bowl polls and voting are popular way of engaging the consumers, who love to play. It mostly associates with game based questions like guess the team that takes home the trophy, or for voting exclusively for brands. Coke ended this year’s Super Bowl ad asking who amongst the chasers, is going to win the race. Watch this. The Mecca of all American football leagues has ended and so has the fest for brands. But come next year, and one can witness some outstanding creativity and brand strategies playing in the Super Bowl half time. Who knows? The preparations might already be in swing to woo the audience and take home a chunk of the consumer base. Whilst companies make every effort to ensure they hire only the best for developing their applications, writing their content or designing a marketing strategy for a product, there are always some loopholes unattended. And there are certain departments or positions for which companies spend considerable resources, but not much emphasis is made on hiring the best talent or for that matter, retaining it. Let’s say you are hiring SEOs. To start with, you must have highly qualified and experienced SEOs working for you already. At the same time, a good investment should be made into hiring new talents who have the potential to assist your organization after being properly guided. Building a pipeline for talents would serve you well in the long run. If you promote people within, that would mean occupying of senior positions by talents you are sure of, a reduced transition time and it would also mean making savings on budget. Your company needs to have its presence felt on the social networks – LinkedIn being the most important. When an SEO at mid-level or senior level is looking switch companies, he/she is seeking to work for a brand that would look good on her resume. Not only to their work experience, but they are also looking to increase value to their own brand as a professional. Make sure as a potential employer, yours appears to be a lucrative place at work at. You are the boss alright, but you are drawing your force from the employees that work under you, particularly those who report directly to you. They would expect to be you to keep them abreast with the moves your company is making, the direction it is likely to take for the next quarter. Keep them in the loop. Maintaining a corporate culture in the company that gives employees a chance to indulge themselves not only in work, but also in some fun activities, enjoying happy hours and organizing mini cultural programs would do well to drive away some mental clogs that keep developing from time to time. Whilst there are many technical bullet points to keep in mind while hiring talent, when you talk of corporate environment, it also means hiring employees for your organization that don’t make a bad company. Facebook has finally stepped into the ring with Google, and there is a lot going for it this time round. 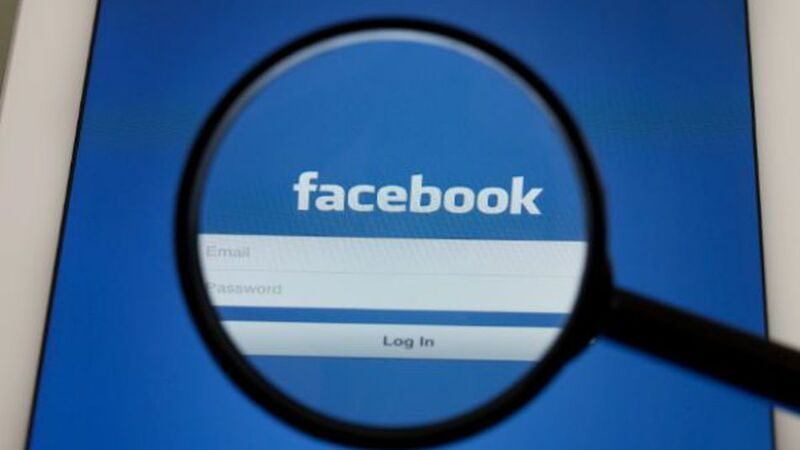 After more than a year of brain rummaging on the part of its developers, Facebook has unveiled its new search tool, Graph Search, which is expected to provide far more search options than Google, particularly regarding people, their interests, places, etc. The Facebook ‘Like’ and photos of your friends would be the biggest assets in the search. 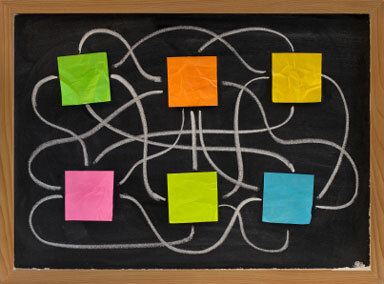 So, how is Graph Search different from Google? A typical Google search is more of an undefined search that returns links in response to our query. The returned links might or might not have what you are looking for. The Google algorithm is such that only the most popular searches appear on the first page. For instance, if you are searching for best restaurants in Delhi, it will come up with the 5 star and 3 star restaurants or the huge franchises on the first few pages. You might have your own preference, your own budget, and it’s very hard to find something on Google according to those specifications. You got to dig really deep, scroll through pages and pages of information to get what you want. Facebook Graph Search, on the other hand, would take your query and address it with a more specific answer rather than giving you pages of links. You could put a query in Graph Search, “Which friends of mine live in Pune”- and it will come up with YOUR. A more personalized search is how Facebook refers to it. Friends who like Dark Knight and Django Unchained. In this case, there may be another person with same friends as you, but based on your relationship with the particular friends (which Facebook lets you decide), the results would be filtered. These are only a few examples of what Graph Search can do for you. You can search for a doctor that your friends go to, or a book your friend reads, a hotel where he/she stayed. Companies can also use this search tool to recruit people. Photos also serve as essential element of this new search tool. For example, if you enter,” photos of my friends at beaches”, it will return to you a page full of stunning pictures of your friends at beaches, taken at any beach in the world. All said and done, if there are any reservations in your mind that your privacy is under *threat*, trust Facebook to take care of that. Before this search tool is made available to you, you will be asked, “Please take some time to review who can see your stuff.” Thus you can set your privacy controls accordingly. For the initial period, this tool would be made available to few individuals. It would be interesting to see how it all pans out. Google, on the other hand, would surely have something up its sleeve.